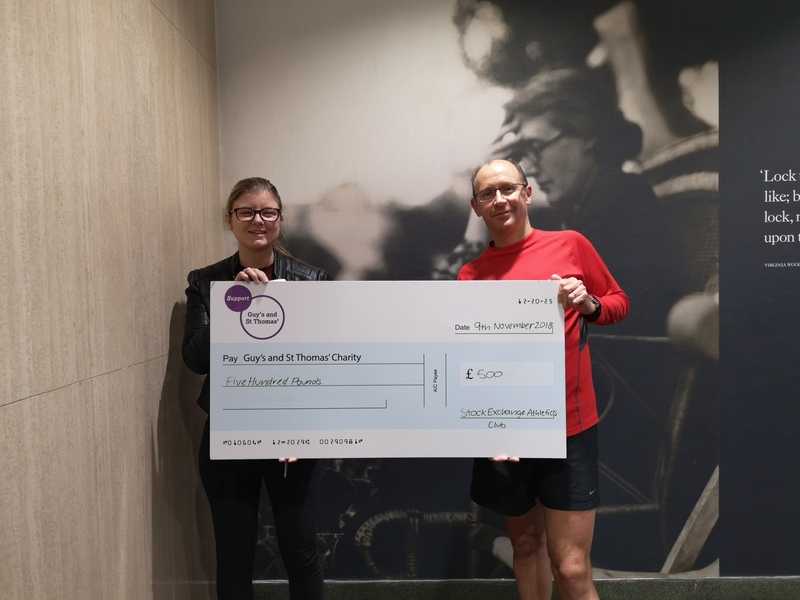 A picture of Martin presenting a cheque from the club after this year’s relay to St Guy’s and Thomas’ Charity. We’ve closed the results on this year’s Bridges Relay which saw a dominant performance from Cottage Reunited winning the individual men’s and ladies’ prizes as well as the team events. Congratulations to Malcolm Hicks as the fastest man in 11:14 and Katy Hedgethorne, the fastest lady in 13:02. Congratulations also to Chris Smith and Bridin Keaerney who won the men’s and ladies’ vet categories. The fastest corporate team was JP Morgan in the Open class and the Civil Service in the Ladies race. 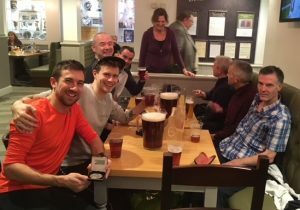 The club put out a squad of Simon M, Matt M, Jeff C, Chris B, Andy C, Andy M, Gaby R, Bryn R, Karen E, Jack B, James W assisted by Andy C, Martin W and Greg S in this year’s relay. The team came second in the mixed category with stage wins from Jeff, Andy, Gaby and Jack in dry warm to hot conditions. As usual the relay had its friendly competitive atmosphere with its largest field ever. The logistics and navigation was smooth with only a few bumps in the road. Pictures of the race may be seen here. Here are the dates and venues for the 2018 League. 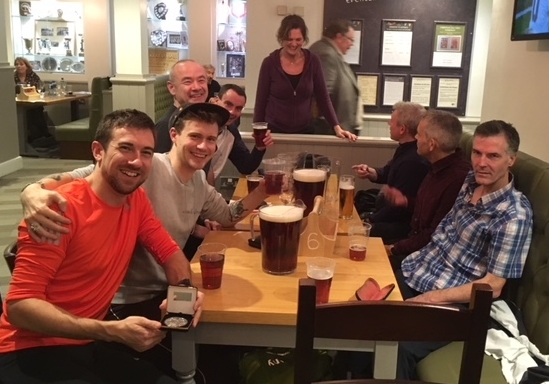 Encouraged by the post race refreshment a lively squad of eight also entered the ‘six person to a team’ pub quiz and duly won, lubricated by numerous jugs of ale. The Bank of England have invited the Stock Exchange to run at their usual cross country race on Saturday if you are interested. Nice but challenging course up and around the White House. Please let me know if you might run and I can inform the Bank. I may be running or marshalling myself. 15:00 on 4th November in Richmond Park. 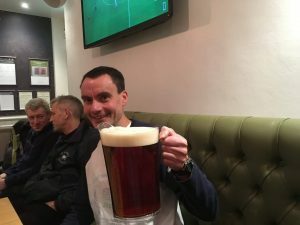 The race will be 5 miles against other local clubs. It is very informal and the standard is not high. 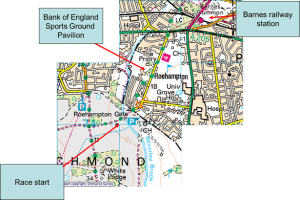 The meeting place is the Bank of England Sports Club (Bank Lane, Roehampton, SW15 5JQ) where there are changing facilities. 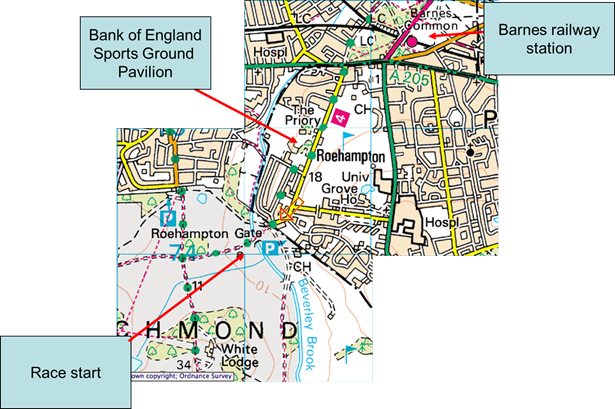 From there it is a 5 minute jog to the race start, close to Roehampton Gate (straight on through the gate and then just on the left after the bridge over the brook). After the race we have our traditional tea. A hot meal (pie, chips, beans) is included in the entry fee (courtesy of the Inter Financial Services Athletic Association) and bar facilities are available after the race. Please could you let Andy Mac (Andrew.McLauchlan@gcpuk.com) and myself Alan (alan.barnes@fca.org.uk) know by Friday 20 October whether you plan to run the Inter-Financial Services Cross Country Championships on Wednesday 22 November for the Stock Exchange. 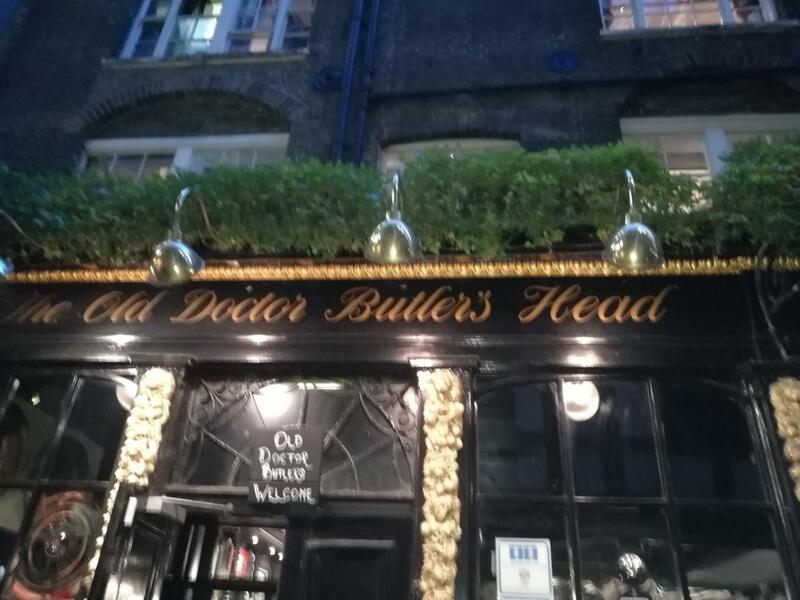 The club held its annual supper on 28 September 2017 at its traditional venue the Old Doctor Butlers Head in combination with Ravens. As usual a very lively event with prize givings and a raffle which raised £560, to be donated to charities nominated by the two clubs.